Photo etching, which is also known as chemical etching, photo chemical etching and photochemical machining (PCM), is a process for fabricating metal components by coating metal in a patterned photo resist and then exposing the metal to an etchant. The metal not protected by the resist will be dissolved and washed away. Chemical etching is most often used to produce thin gauge metal parts, sometimes as thin as .0005". Panel etching can also process ferrous alloys to .040" thick, copper alloys to .065", and aluminum to .080". Photo chemical etching evolved in the 1950s from the printed circuit board industry. By using film masters as exposure masks, chemical etching is a meaningful alternative to stamping for many metal applications. And it still is today. The exposure masks, or photo tools, can be produced to very high resolutions on laser photo plotters, resulting in even greater precision in the parts produced. Laser direct imaging on glass tools can produce feature sizes less than 100 microns. The range of products manufactured by photo etching continues to grow from extremely fine semiconductor packaging devices to sensor elements up to 24" x 60" to giftware and jewelry to industrial components. Chemical etching is exceptionally well suited to manufacturing a wide variety of screens, grid, meshes, and other perforated products. By comparison, chemical milling is a very different process. Interestingly enough, chemical milling was the process for which Conard Corporation was started. 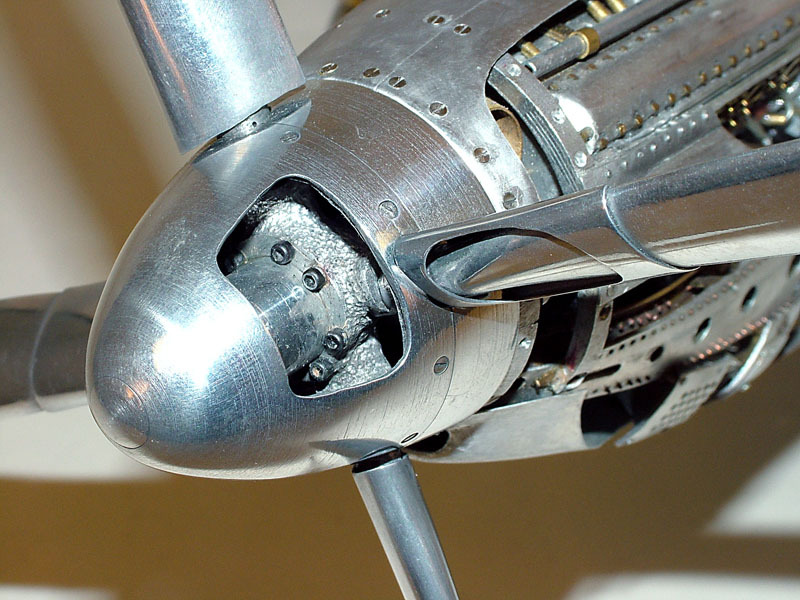 In the 1960s, Pratt and Whitney was forging propeller hubs in aluminum. Conard's founder, Richard Huttinger, was a metallurgist at P&W. At that time, the aluminum forging process left a less than optimum surface condition on the parts. There really wasn't a practical solution for machining these complex surfaces to a finished condition. Huttinger thought it could be done with chemistry. Working from his garage, he eventually developed an etchant that would work consistently and reliably for aluminum. Chemical milling is often used to reduce the weight of aluminum aerospace components by selectively removing metal from fabricated parts. This is usually accomplished by applying masking material to the non-etch areas on both the inside and outside surfaces. The masked parts are then submerged in a tank of etching solution for a period of time needed to dissolve the desired depth of metal. When applied in this manner, the process may be subject to Nadcap checklist 7108/5. A lighter form of chemical milling is sometimes used to prepare metal surfaces for additional finishing operations. These processes may or may not be subject to Nadcap. This application of the process is performed by metal finishing houses and some NDT testing facilities. The overall distinction between the processes can be summarized by characterizing photo etching as a fabrication process resulting in the production of components and chemical milling as a modification for altering the surface condition or reducing the weight of fabricated parts.